Former General Electric chief Jeff Immelt is no longer in the running to be Uber's next CEO. "I have decided not to pursue a leadership position at Uber," Immelt tweeted on Sunday. He said he has "immense respect" for the company and its founders. Immelt was reportedly a top candidate for the job. He recently stepped down as GE (GE) chief executive, but remains chairman through the end of this year. He decided Saturday to pull out because of problems with Uber's board, according to a source familiar with the matter. I have decided not to pursue a leadership position at Uber. I have immense respect for the company & founders - Travis, Garrett and Ryan. Uber founder and former CEO Travis Kalanick is being sued by Benchmark, a venture capital firm that was an early Uber investor. Kalanick resigned in June following months of PR crises and an investigation into the company's culture. But he remains on Uber's board. Benchmark has accused Kalanick of trying to "acquire the power to pack the Board to facilitate his desired re-appointment as Uber's CEO." It wants to force him off the board. Kalanick has denied Benchmark's allegations. Other Uber investors have lashed out at Benchmark and tried to get the firm to forfeit its board seat. The source said Immelt did not see a path to being able to do the job with a "completely dysfunctional" board and a "disruptive" investor like Benchmark. The board still needs to come together to pick a CEO to turn the company around. Hewlett Packard Enterprise (HPE) CEO Meg Whitman was also rumored to be a candidate. But she said last month that she would not lead the company, adding that "Uber has become a distraction" and that she was "fully committed" to Hewlett Packard. "Uber's CEO will not be Meg Whitman," she added. Benchmark, meanwhile, is reportedly still pushing for Whitman to get the job. 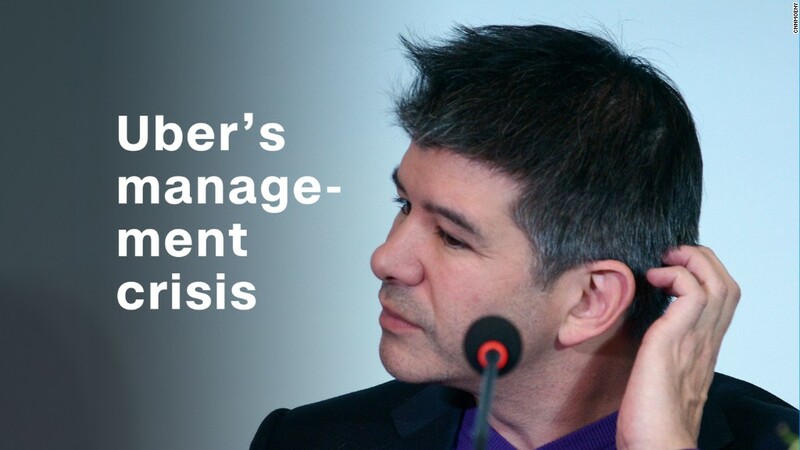 In addition to a chief executive, Uber needs a CFO, COO, CMO and president. Other top executives, such as Uber's first employee and SVP of global operations, have also left the company recently. --CNNMoney's Seth Fiegerman contributed to this story.